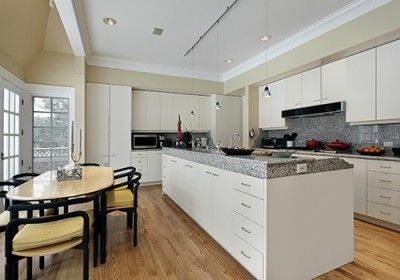 Have you decided that it’s time to redo your kitchen area? If you are now in the market for the leading kitchen fitters Lyndhurst has available, then we have good news. You can stop searching now that you have discovered Acorn Building Contracts. To discuss your ideas with our friendly team of professionals, give us a ring at your earliest convenience on 02380 243 336 or 02381 780 546. The services of our kitchen fitters Lyndhurst team are more sought after than ever. Whether as part of a major refurbishment or a standalone project, we are asked to design, build and fit tailored kitchens that make the most out of the available space. Here at Acorn Building Contracts, we are able to source, supply and fit everything you will need for a bespoke space. This includes worktops, sinks, taps as well as various appliances. Once you have decided on the final design and materials, our kitchen fitters in Lyndhurst will be there every step of the way. You will always be dealing with qualified professionals all of whom have a great passion for their work. We will work with you closely to ensure that you get the solution of your dreams. There is no project that our bespoke kitchens Lyndhurst team would consider too small or too big to effectively handle. Would you like to see some successful projects that our kitchen fitters Lyndhurst team have carried out in the past? If so, then take some time to browse through our virtual gallery. We are confident that these images will give you all of the reassurance you needed for enlisting our expertise. 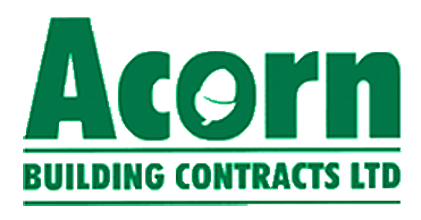 Why Choose Acorn Building Contracts as Your Kitchen Fitters in Lyndhurst? Founded by Darren Cunliffe, Acorn Building Contracts has over 25 years of experience as kitchen fitters in Lyndhurst. With a proven track record of excellence and an impressive portfolio to demonstrate, we will be your one stop shop for high quality tailored kitchens. At Acorn Building Contracts, we take great pride in the quality of our work. We provide highly competitive rates that other kitchen fitters Lyndhurst companies simply can’t beat. All work will always be carried out by highly skilled tradesmen who are backed by full insurance. The majority of our work comes via recommendations and word of mouth from our existing customers. This makes us very proud because customer satisfaction is at the heart of everything that we do as a company. Our kitchen fitters Lyndhurst specialists would be delighted to listen to your requirements and walk you through all of our available options. We offer free quotations with absolutely no obligation to commit. Get in touch with us using one of the below contact methods to take advantage of this great offer. Are you now ready to get the ball rolling on your new home improvement solution? Contact us today! Please feel free to call us on 02380 243 336 or 02381 780 546. You can also send your kitchen fitters Lyndhurst enquiry via e-mail to acornbuilding@gmail.com. Alternatively, fill out our online enquiry form – we’ll get back to you very shortly!